Emergency home assistance is an insurance product that will help protect you in the event of a domestic emergency. Home emergencies can be stressful and sometimes difficult to resolve, but with emergency home assistance insurance you can give yourself peace of mind knowing that in the event of a home emergency the insurer will appoint a suitably qualified contractor to attend your home to try to solve your problem. Home legal expenses insurance is an insurance product primarily designed to offer protection to you and your family for your costs of pursuing a claim, for damages in an accident sustained in the course of employment. It also offers representation in the event of a tax investigation, protection of your earnings whilst attending jury service, defence against contract disputes and provides legal assistance to negotiate for your legal rights in a civil action relating to material property. When arranging your home insurance through autonet home insurance we offer these products to you to give you extra protection as this type of cover is generally not included by the home insurance company. You can purchase both products together as a combined package or on their own. However if you purchase the emergency home assistance and home legal expenses products together as a combined package you will receive a discount as we offer a cheaper rate to customers purchasing the combined package. Bodily Injury – Should you or a member of your family suffer bodily injury as a result of an accident at work, the home legal expenses insurer will provide cover to pay the costs of making a claim against the employer for damages. Employment Disputes – If you or a member of your family suffer unfair or wrongful dismissal, redundancy or unlawful discrimination, the home legal expenses insurer will pay up to £5000 for your legal costs and expenses for them to negotiate for your legal rights. Tax Protection – The home legal expenses insurer will negotiate on your behalf and represent you in any appeal proceedings in respect of a full enquiry by the Inland Revenue into your tax affairs providing the enquiry has resulted from your work as an employee. Contract Disputes – Negotiation of your rights in a contractual dispute arising from an agreement or an alleged agreement which you have entered into for the buying or hiring in of any goods or services or the selling of any goods. Property Protection – Negotiation of your legal rights in a civil action relating to material property including your principal home for an event which causes or could cause physical damage to such material property or any nuisance or trespass. 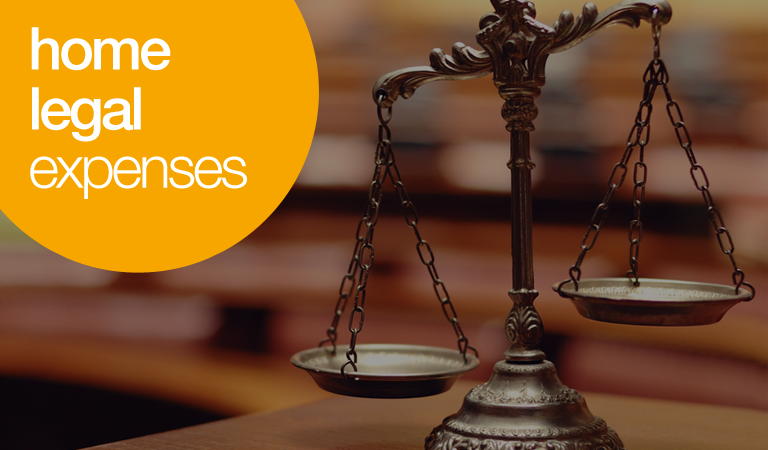 Jury Service – The home legal expenses insurer will pay your salary or wages for time that you have had to take off work whilst attending jury service providing your salary or wages are not legally recoverable from the court or your employer. Clinical Negligence - You will be covered for costs to pursue legal action for damages, if clinical negligence results in your personal injury or death. You are not insured for claims of stress, psychological or emotional injury unless it arises from you suffering physical injury. If you are looking for emergency home assistance cover and home legal expenses cover than get a quote for your home insurance by calling: 03303 438 525. Here at autonet we search a panel of insurers to find you our cheapest home insurance policy suitable to your needs. Emergency home assistance cover and home legal expenses insurance are designed to give you that extra protection your home insurance will not provide cover for, and can only be purchased alongside a home insurance policy. Home legal expenses insurance provides protection to your household in the event of needing to pursue a claim for damages following an accident at work. This policy also provides legal assistance should you find yourself under tax investigation.